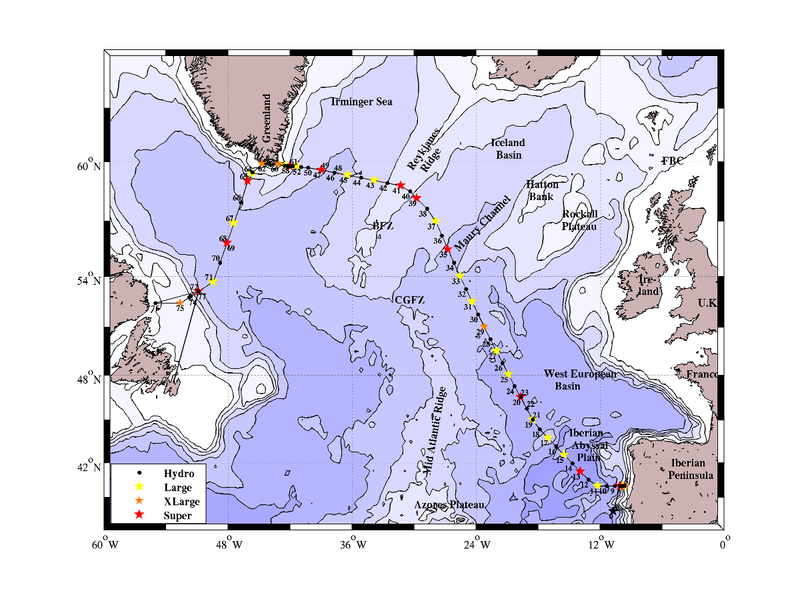 at the land-ocean contact, as for example close to the Greenland and Newfoundland coasts, marked decoupled behaviours reflect the different main input sources of both tracers (rivers for Ba, sediment for 226Ra). 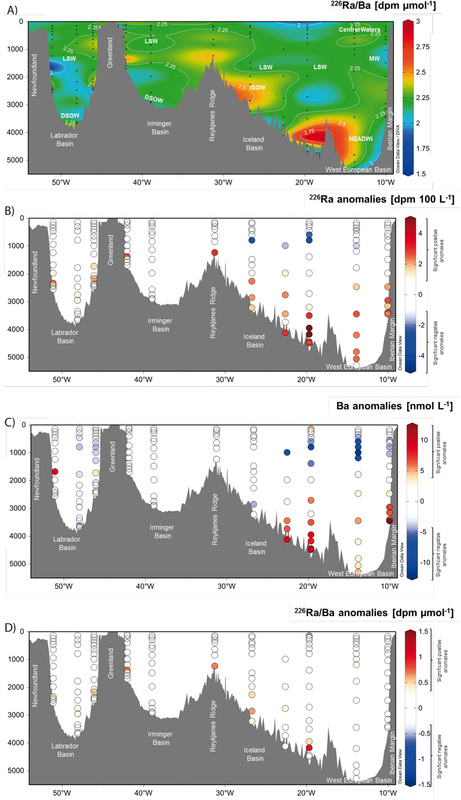 Figure: Distribution of dissolved 226Ra/Ba ratio (a) measured along the GEOVIDE section and the difference between the measured concentrations and those calculated by the optimum multiparameter (OMP) analysis for 226Ra (b), Ba (c) and 226Ra/Ba ratio (d) along the GA01 section. Positive anomalies (in Red) reflect recent tracer addition, while negative ones (in blue) reflect recent tracer removal. Station numbers are found above the panels. Click here to view the figure larger.